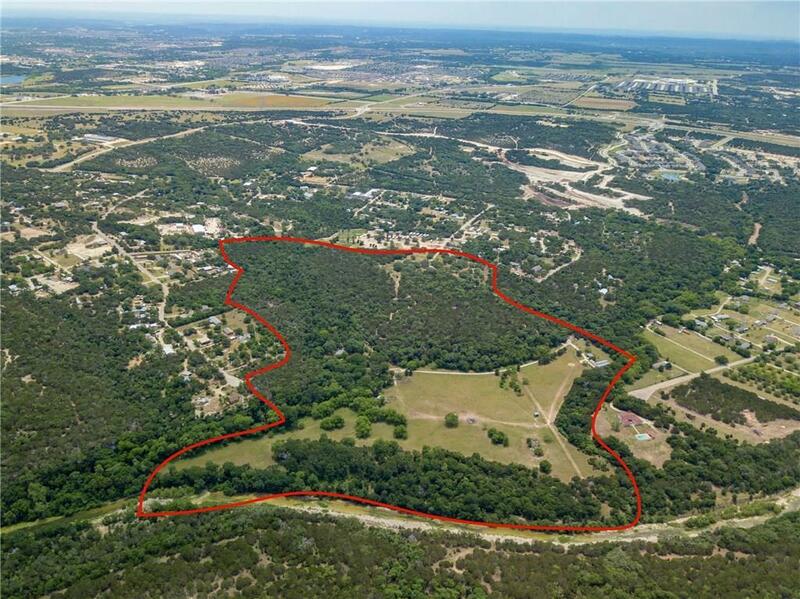 San Gabriel Ranch Real Estate is a collection of expansive home sites that offer breathtaking views of the Hill Country. Homes for sale at San Gabriel Ranch are the perfect choice for home buyers seeking large acreage to build their dream country estate or home buyers who desire to customize traditionally styled homes. San Gabriel Ranch listings were developed around the 1960s through the 1980s, offering residents an exquisite collection of charming homes. Catering to nature admirers, San Gabriel Ranch homes for sale are surrounded by gorgeous mature trees and some homes even back up to the serene San Gabriel River. Home buyers that are seeking a rural neighborhood in a well-established community will find their new home at San Gabriel Ranch Real Estate. If you'd like more information about San Gabriel Ranch homes for sale, please continue reading below. Homes for sale at San Gabriel Ranch are located off of S Gabriel Dr. and San Gabriel Pkwy in Leander, TX. San Gabriel Ranch listings come equipped with all the necessities for authentic country living. Home buyers can expect to find a variety of traditional style structures that offer decks, patios, and ample outdoor living space for sparkling pools and fire pits. Some homes come equipped with covered carports for boats, vehicles, and RVs. Some interior features that can be spotted at San Gabriel Ranch homes for sale are double vanities, garden tubs, and coffered ceilings. San Gabriel Ranch Real Estate is popular for its affordability, as home buyers can find homes and lots priced around $100k and $200k. San Gabriel Ranch Real Estate is served by noteworthy Leander Independent School District. Students may attend Pleasant Hill Elementary, Wiley Middle, and Rouse High School, which are all within 6 miles of the community. Homes for sale at San Gabriel Ranch are near private school options including Abacus School of Austin and The Goddard School. San Gabriel Ranch listing are within 30 miles of the University of Texas at Austin, Austin Community College, and St. Edward’s University. There are a variety of entertainment options surrounding San Gabriel Ranch homes for sale. Only 4 miles away from San Gabriel Ranch listings is Benbrook Ranch Park. This park is one of the newer parks in the community and offers a ton of outdoor amenities including picnic pavilions, hike and bike trails, a skate park, BBQ grills and more. Another great outdoor option is nearby Devine Lake Park. Golf enthusiasts are encouraged to gain membership at Cimarron Hills Golf Club, which offers a Jack Nicklaus Signature golf course and an array of luxurious amenities including a spa, a tennis court, a fitness center and more. San Gabriel listings are also near great shopping options like 1890 Ranch Shopping Center. This hot spot is the home to over numerous retailers including Plato’s Closet, Charming Charlie and other entertainment options like Bikram Yoga. There is also Cinemark Theaters, where guests can sit back and catch the latest blockbusters.